The musical version of Bend It Like Beckham starts previews on May 15th, with its official first night on June 24th at the Phoenix Theatre. The first casting news is that actress Natalie Dew is playing the show’s leading lady Jess, the Sikh schoolgirl who loves how David Beckham plays and wants to bend the ball into the net the way he does. She joins the the Harriers local football team, against the wishes of her family. Who want her to follow traditional Indian values which certainly doesn't include playing footballs or bending a ball into the back of a net. Her stage credits include the Royal Court's The Internet Is Serious Business and Ophelia in a production of Hamlet for the Northern Broadsides Theatre company. 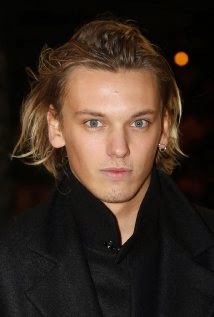 Jamie Campbell Bower is to play Joe, the Harriers’ handsome manager. He sings with group The Darling Buds, with his main experience in films including Tim Burton’s Sweeney Todd, the vampire Caius in three Twilight saga films, the young Gellert Grindewald in Harry Potter And The Deathly Hallows plus the Mortal Instruments films. Also in the cast are Preeya Kalidas, Lauren Samuels, Jamal Andreas, Ronni Ancona, Tony Jayawardena and Natasha Jayetileke.